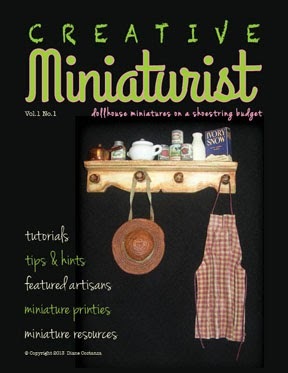 Creative Miniaturist: Free Advertising Offer in New Mini e-Zine! dollhouse miniatures on a shoestring budget. all the wonderful miniatures they create. no worries, I will lay it out for you! and I will add it to the Creative Miniaturist© ad pages. The due date for this first Winter 2014 issue is February 1st! Can’t make that deadline? Again, no worries! We’ll just add you to the next Spring 2014 issue, with a deadline of April 25th. to get your name or shop out there in the miniature world? 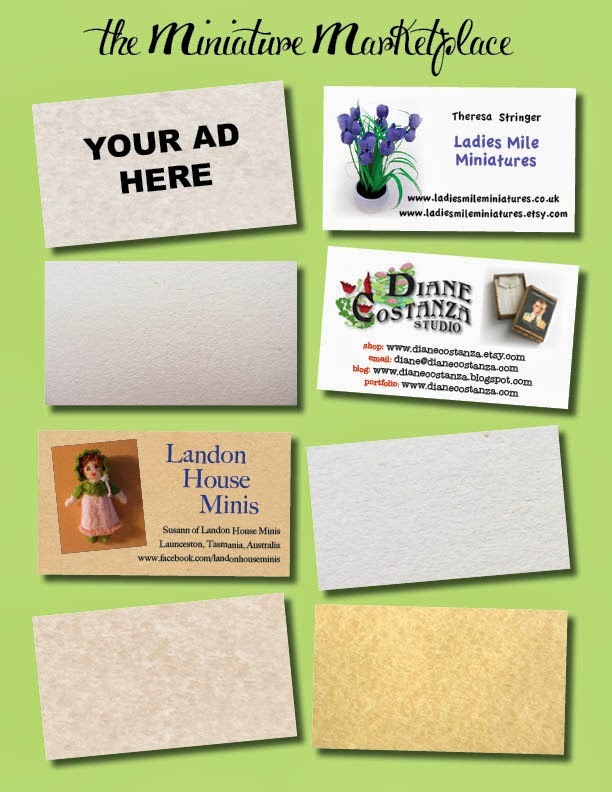 It is a completely hassle free way to advertise! Want to become even more involved in the content of Creative Miniaturist©? Do you love to write? Do you enjoy putting together miniature tutorials? Do you have a lot of creative knowledge to share in future issues of Creative Miniaturist©? as a great tip or hint to a fully loaded step-by-step tutorial. No ideas are ever too small or too large here at Creative Miniaturist©! for everyone to share here within our Huge Tiny World!